As we move into the warmer spring weather, there are plenty of opportunities for your family and pets to enjoy the great outdoors. However, with the sun comes the concern of fleas and ticks. Not only do these nasty parasites cause irritation and pain to your beloved pets, but they can also carry and transmit serious diseases. Therefore, it is a good idea that you help your pets avoid as many bites as possible! Here are three easy and effective ways to help ensure that your pet remains flea and tick free this spring! 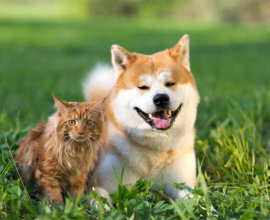 If your pets commonly spend a lot of time in the yard, it can be prudent to help reduce the number of fleas and ticks in that area. 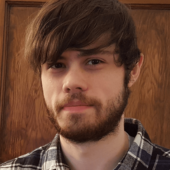 Of course, eradicating every single flea and tick in your yard is near impossible; and certainly not a good way to spend your spring and summer! Consequently, the best thing you can do is make your yard a less attractive place for fleas and ticks to stay. Ticks like to make their homes at the tips of tall grass. From there, they can easily move onto an unsuspecting pet when they move too close. To help stop this, keep your grass trimmed! As for fleas, they prefer dark areas away from sunlight. Keep these areas clean and sweep them daily to shift any of these parasites seeking refuge. Finally, remove or secure any garbage bins that may be present. Loose trash attracts rodents, which may be carrying fleas and ticks themselves. There are a lot of medicines on the market that give your pet protection against fleas and ticks. They range from sprays, spot-ons (liquid applied to the back of the pet, between the shoulders), and specially treated collars. Each offers varying amounts of protection and may fit some pets better than others. 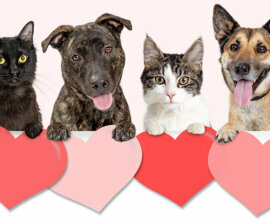 Experiment and see which is best for your pet! On top of this, medicated shampoos that eradicate ticks and fleas are also available. These can come in use just in case your pet does manage to get fleas and ticks despite your best attempts at prevention. We at Groomit also offer flea and tick treatment for a low $30 on top of any of our service plans. Be sure to give us a shout if you need some help! As an important note, be sure to buy the right medicine for your pet. 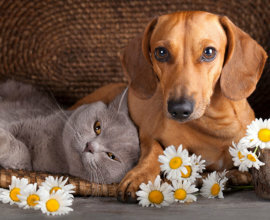 Some flea and tick treatments for dogs can be toxic to cats, and vice versa. 3. Keep your Pet Groomed! A dog or cat with an unkempt coat is perfect for fleas and ticks. It allows them to hide so much easier, underneath the tangles and mats, making it more difficult for you to spot them. This makes your pet doubly uncomfortable; not only is their coat a mess, they now have parasites biting them! Therefore, it’s always a good idea to keep your pet regularly groomed. While it doesn’t directly prevent fleas and ticks, it makes them that much easier to spot so that you can deal with them as quickly as possible. 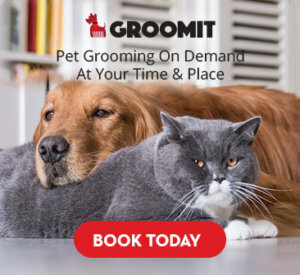 Luckily for you, we at Groomit provide professional grooming at a reasonable price, helping your pets feel as comfortable and clean as possible! 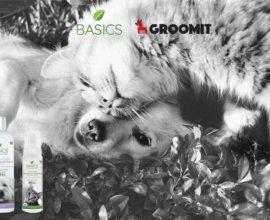 We at Groomit hope these tips help prevent any nasty encounters this spring so you and your pets can focus on enjoying this lovely season! Keep in mind that if you do run into such nasty insects with your pets, we are always here to help! Schedule an appointment with us and we’ll sort it quickly and at a reasonable price. All within your own home!